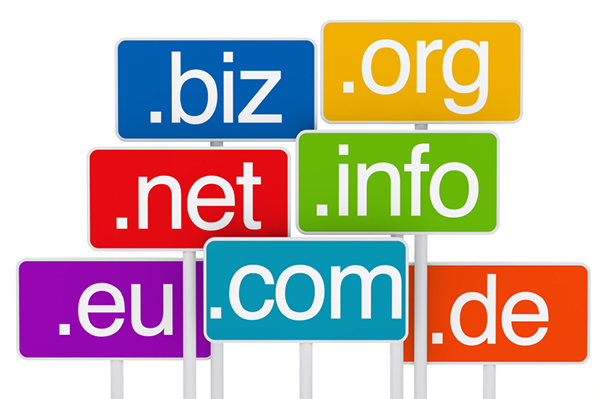 One of the first things you have to do when building a new website is deciding what your domain name will be. This process can be daunting as it can seem there are endless possibilities and combinations – how will you pick the right one? This article is our step-by-step guide to choosing your web domain here in Malaysia. First off, what is a domain name? Your domain is the “address” where your website will live on the Internet. People looking to visit your website will key in your domain name (e.g. www.macgad.com) into their address bar and be directed to your website. A good domain name is important because it is how visitors will find you among the vast number of websites available for surfing. So, how do you choose a web domain name in Malaysia? Start off by just throwing every idea you can think of onto a list, and seeing what you end up with. The most basic domain names are usually just your brand name, but for SEO purposes you may want to consider including your main keyword in your domain name so that it appears in the link for all pages on your website. This may be a good idea if you have one particular keyword you will be targeting heavily in your SEO efforts. The suffix that will go at the end of your domain name (e.g. .com, .net, .org and so on) is selected based on the type of business or brand that you have. For general businesses, your selection will mainly be between .com or .net, used for commercial businesses. If you run an organization (e.g. private, non-profit, or charity) you can use the .org suffix. Other suffixes, e.g. .edu (higher learning institutions) or .gov (government agencies) require special permissions to be used. As a business in Malaysia, you have the option of adding a .my to the end of your domain (e.g. macgad.com.my). This localizes your business to Malaysia, which makes Google more likely to show your website to Malaysian users when they search your keywords. However, if your business is located in Malaysia but your target market is international or you have future plans for expansion, then adding the .my may not be the right move for you. Now that you’ve got your list of ideas, check them on sites like GoDaddy, DomainPlus, ServerFreak, or IP ServerOne to see if they are available, and how much they will cost you to own. Be aware of initial charges, as well as renewal charges – sometimes these providers will charge a really low price for the first year but then increase the charges in subsequent years. Before you make your purchase, be sure to check out what domains your direct competitors are using, as well as similar domains that could be confused for yours (e.g. because another company has a similar name, or a differently-spelled name). If those domains are in use and have a very strong presence on the internet, it could be better for you to tweak your domain to make sure it is uniquely yours and can’t be confused for another website. Ready to select your domain and get started on your new website? Contact our website design specialists for a free consultation now!